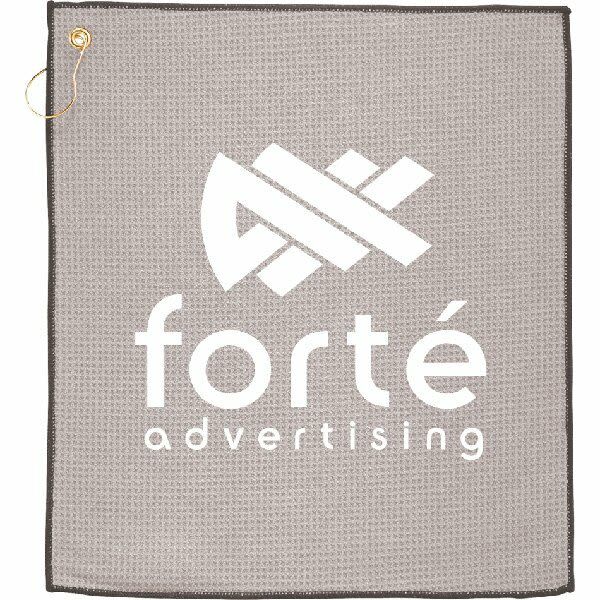 Advertise your service or product to your target professionals on the golf course. 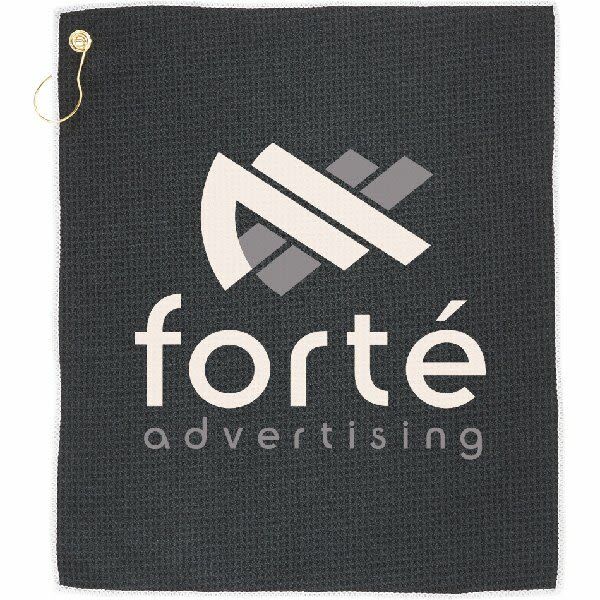 Add a custom imprinted logo to this microfiber waffle weave towel that is extremely effective at cleaning dirt from golf balls, tees and clubs. 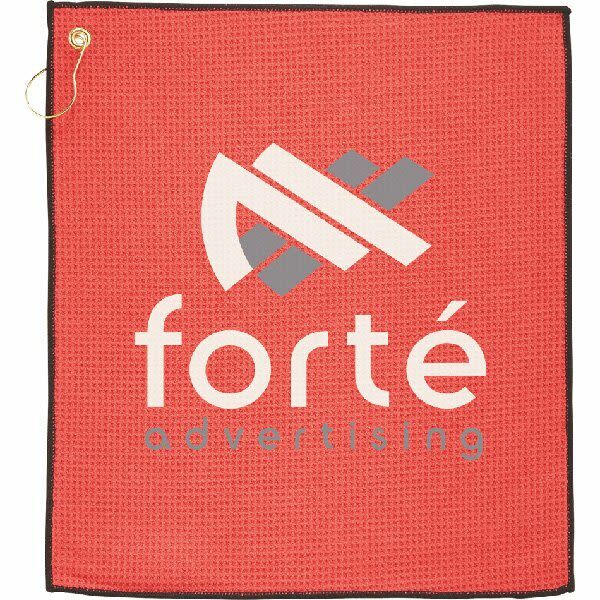 This material is also super absorbent for those days when the course is damp. 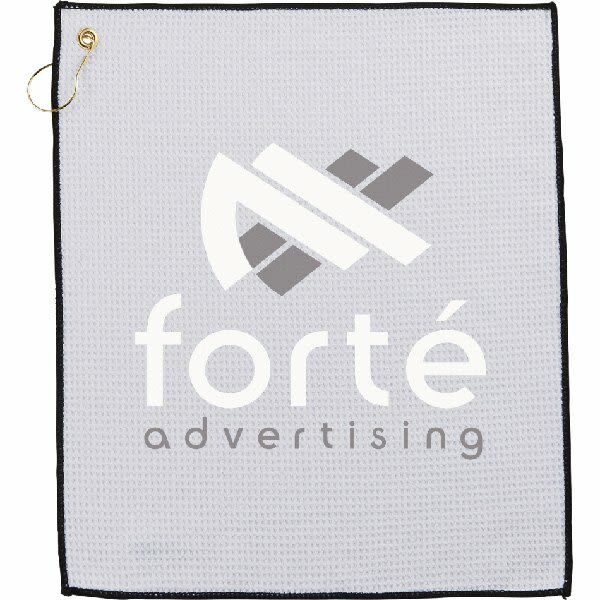 Easily hangs from golf bag via corner grommet and hook. Made of 100 % cotton. One color, one location imprint included in the pricing. Additional imprint color or embroidery options are available for an added fee. Please call for details.